We are happy to offer you these modern, colorful and fun table trivets. Now you can bring some of the outdoors inside with our Frosty Trivet sets. 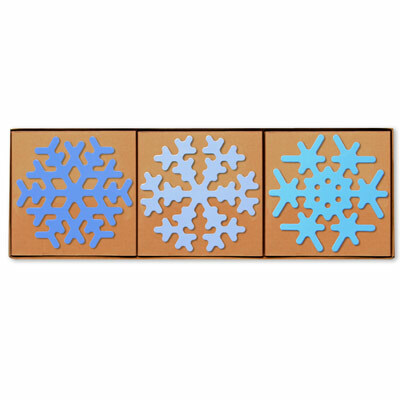 Bright sky-colored frosty snow trivets make these eye catching on your table. Presented in gift box. Great gift idea! Baked on paint finish with neoprene feet.